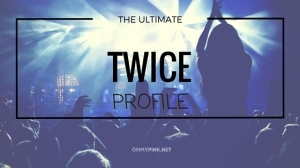 The Ultimate Apink Profile 2015 - OH MY KPOP! You have been looking for an incredible well researched Apink profile and every other website so far couldn’t really deliver? The search is finally over. Here you will find everything about your favourite Kpop girl group and much more. Lets get started without further ado because we have a lot to talk about here. We gathered 10 facts about Park Cho-rong that you need to know, if you are a real Apink fan. 1. Her birthday is March 3, 1991. 2. She was born in Chungcheongnuk-do, South Korea. 3. Her height is 163cm. 6. Her birth name is Park Cho Rong but on the stage she is known as Chorong. 7. Her zodiac sign is pisces. 8. Her blood type is 0. 9. Park Cho-rong is the rapper of Apink. BTW: Who is your favourite Kpop rapper? Let me know in the comment section. 10. Her acting debut was in 2011 (All my love). Do you want to know, how you can write her name in Hangul? No problem. Here it is: 박초롱 And just in case you need more reasons to love Park Cho-rong please make sure to watch the following video. Do I have some facts about Jung Eun-ji for you? You bet I do. 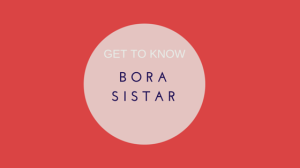 Here are 10 things you have to know about her. 1. Her birthday is August 18, 1993. 2. She was born in Busan, South Korea. 4. Her weight is about 47Kg. 5. Her hobbies are playing the piano and eating her mothers food. 6. Her favourite American female singer is Jennifer Hudson. 7. She is the main vocalist of Apink. 8. She attended Busan Music Academy. 9. She acted in the Korean Drama ‘Trot Lovers’. 10. Her Korean name in Hangul is 정은지 (for all the Korean learners out there). Here are ten things you have to know about Yoon Bomi. You have more facts about her? Please don’t hesitate to let me know in the comment section. 1. Her birthday is August 13, 1993. 2. She was born in Suwon, South Korea. 3. Her height is 164cm. 5. She is known to be a laid back kind of person. 6. Her birth name is Yoon Bo Mi but her stage name is Bomi. 7. She is the lead vocalist and main dancer in the band. 8. She has an older sister and a younger brother. 9. She was an MC on the Korean variety show ‘Weekly Idol’. 10. She released a duet with Lim Seulong which goes by the name ‘Lovely’ in July 2015. You want to know how lovely that song is? Check out the video below and enjoy. Yes you guessed it right. I also have 10 really interesting facts about Son Na Eum. Lets have a look at them together. 1. She was born on February 10, 1994. 2. She was born in Seoul, South Korea. 3. She is 164cm tall. 4. Her weight is about 45Kg. 5. Her hobbies are dancing and art. 6. She has a younger sister. Son Se Eun who is a professional golfer. 7. She played the leading role in ‘The Miracle’. 8. Her blood type is B. 9. Son works as a model for Peripera and M-Limited. Lets look at the the things that you have too know about Kim Nam-joo. 3. Her height is 165cm. 4. Her weight is 45Kg. 5. Kim Nam-joo is one of the three rappers in the band. 6. She speaks English, Chinese and Korean. 7. She first appeared in a TV commercial at the age of 13. 8. She released a duet track with Yook Sung Jae in 2015. Watch the video below and let me know how you like the song. 9. Her zodiac sign is aries. 1. Her birthday is July 19, 1996. She is the youngest member of the group. 3. Oh Ha Young is 166cm tall. 5. She is a vocalist and rapper number three in the band. 6. She appeared as an MC on the Korean variety show ‘Weekly idol’. Together with Yoon Bomi. 8. Her hobbies are stitching and sports. 9. Her nickname is Indian princess. Does anybody know why? Please let me know. 10. Her role model is Lee Hyori. That’s it. My breakdown of the six current Apink members. But I would also like to mention a former member of this Kpop girl group. She might not be a member of Apink anymore but there are nevertheless 10 things you should know about her. Lets have a look. 1. She was born September 22, 1994. 3. Her weight is about 48Kg. 4. She is 167cm tall. 5. Hong Yoo Kyung used to be the lead rapper of the group. 6. She left the group in 2013 to focus on her university studies. 7. She studies at Chung-Ang University, South Korea. 9. She plays the piano and the viola. 10. She used to be a cheerleader during her high school stay in the United States. WOW! So many interesting facts and information about all the current and former Apink members. Lets see, if you memorised some of the most important things. Let me know the answers in the comment section. 1. Who is the youngest member of the group? 2. Which member was born in Busan? 3. Who has a professional golfer in her family? I love lists and therefore I will include another one into this post. 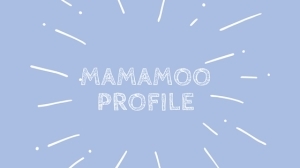 Let me know, if you think that my Apink profile has to many lists:) The following one will give you an overview and a good understanding of the band history. Apink is managed by Cube Entertainment. The band released their first EP and their first video in April 2011. A reality show in cooperation with Infinite was recorded in the end of 2011. 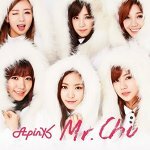 Apink released their second EP in November 2011. They received the “Female Rookie Award” at the Asian Movie Awards in November 2011. Yoon Bomi and Kim Namjoo formed Apink BnN as a sub-unit of Apink. Watch the video below to see, if you like their work. Apink debuted in Japan on August 4, 2014 in Tokyo. Their fifth EP was released in November 2014. The first concert they played as the headliner was held in Seoul Olympic Park on January 30, 2015. If you want to know more about Apink, please don’t hesitate to visit this information page which has even more information about one of your favourite Kpop girl groups. I hope that my Apink profile was filled with informations that help you to know more about this Kpop girl group. Just let me know how you liked it and tell me in the comments who your favourite Apink member is. And you would make my day, if you could share this article with your friends on Facebook. Thank you for reading. See you in the comment section. You might like these articles. 22 super lovely phrases you can tell your OPPA to show him how much you love him. My favorite K-Pop rapper is Park Chan Yeol a.k.a Chanyeol from EXO. hopefully APINK go visit or have aconcert here in the philippines .